You’ve probably already heard plenty of people out there telling you that the best headphones are the only way to get fantastic sound when using a computer. But, what if you’re not comfortable wearing headphones day-in and day-out? For everyone else, the best computer speakers are a fantastic ideal. Still, like any piece of PC hardware, finding the best computer speakers isn’t quite as easy as you’d think. 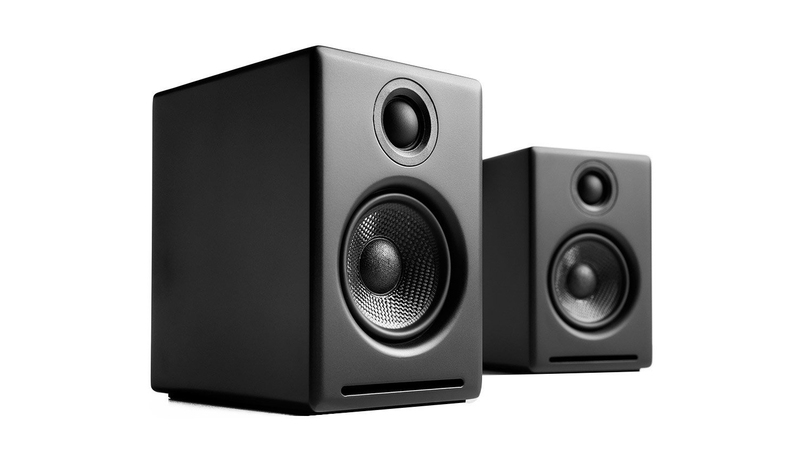 Before you pick the best computer speakers for your setup, there are a few things you need to consider. How do they sound? Is the surround or stereo separation up to snuff? Do they start to grate on you after a couple minutes? Is the sound nice and balanced? These are all important questions to ask. You should also think about what you want to do with your speakers. Do you want to play the best PC games, like Sekiro: Shadows Die Twice, where immersion is the name of the game? Do you just want to watch and rewatch the latest episode of Game of Thrones, trying to figure out what’s going on? Or, do you just want to listen to Beyonce’s Homecoming again and again like we are? No matter what you want to do, we’ve found the best computer speakers for the job, so you can revolutionize the way your computer sounds. 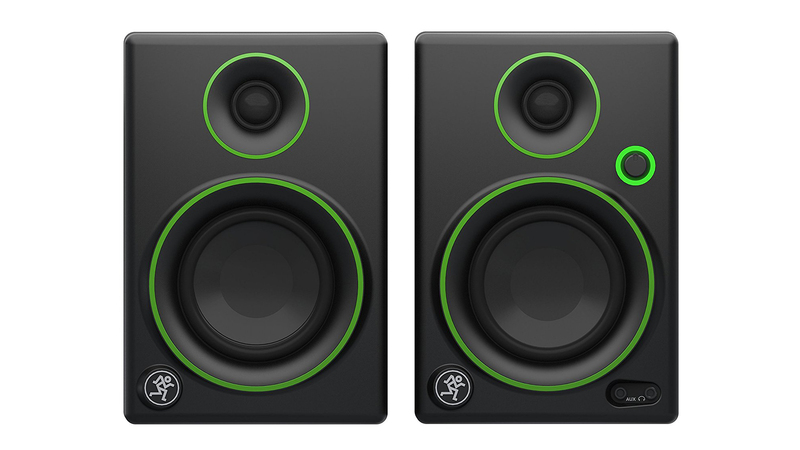 Sure, the Audioengine A2+ launched four years ago, but they’re still the best computer speakers on the market. These aesthetically pleasing speakers will work with your PC’s USB port for uncompressed audio and beautiful audio quality with its built-in DAC. 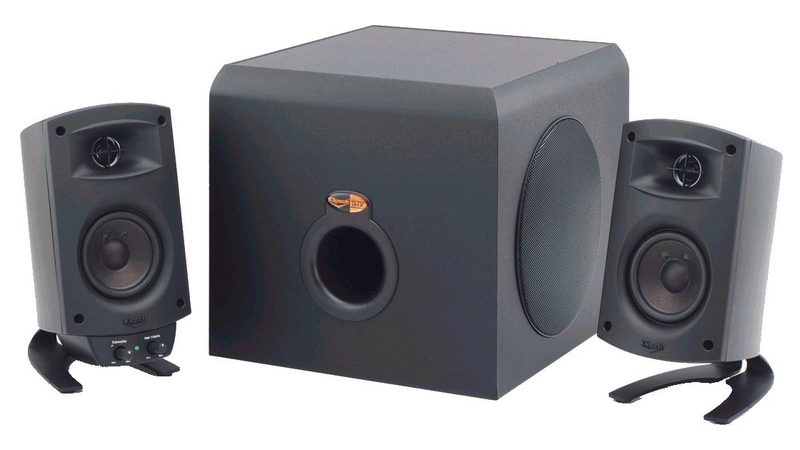 The Audioengine A2+ doesn’t come with a bass, but that’s not a problem unless you need really deep bass. Luckily, there is an RCA output, so it’s a breeze to connect an external woofer. 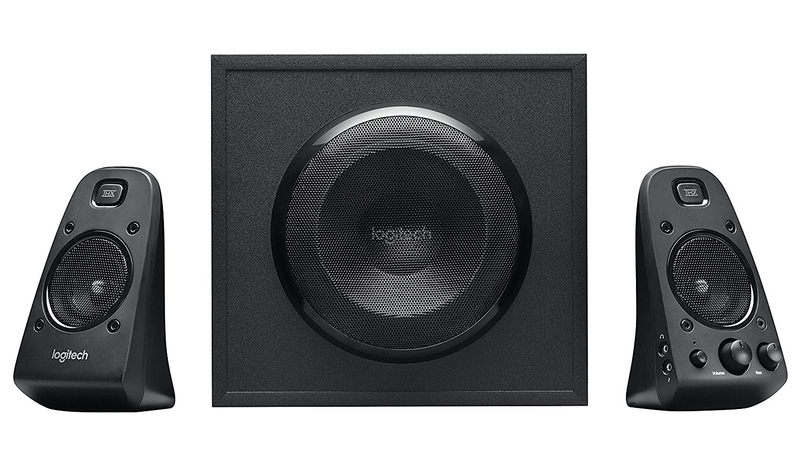 While they may be more expensive than you’d expect to pay for the brand’s speakers, the Logitech Z623 is still very affordable when you consider just how powerful they are. The Z623 may look like your average pair of speakers, but its subwoofer produces a thundering sound that can easily dialed up or down depending on your preference. And, it offers a great soundstage – with great highs and mids – making for a more immersive gaming and movie experience. These days Logitech is a household name in computing peripherals, but the Logitech G560 takes its speaker expertise to the next level. The first Logitech computer speakers designed for gaming, the Logitech G560 are the best computer speakers for gaming – no question. Not only do they feature RGB lighting, but through Logitech’s software, the multi-colored illumination can adapt to any kind of content you consume – whether it’s your favorite game, or the latest music. The Razer Nommo has a weird name, a weird appearance and a high price. And, while you might find yourself wincing at the $500 price tag, the Razer Nommo Pro has a lot to offer. 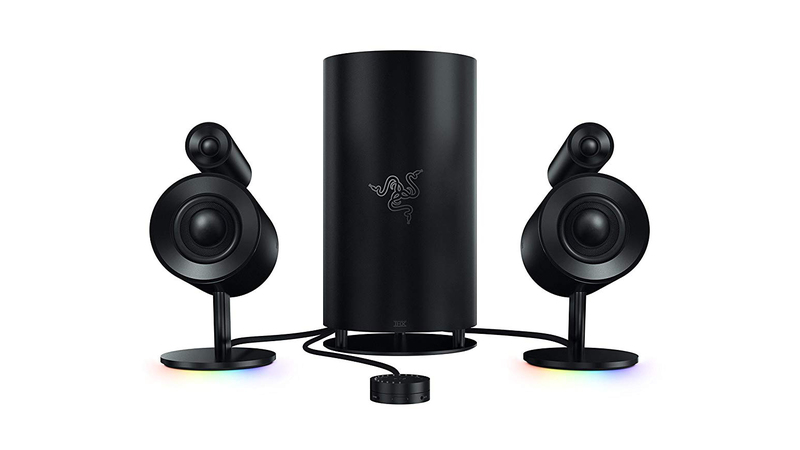 You get a beefy down-firing subwoofer that’ll almost literally blow you away, but it also features Razer Chroma, so they’ll look just as good as they sound. There are definitely cheaper computer speakers out there, but with this level of quality, the Razer Nommo Pro is worth it. This product is only available in the US as of this writing. UK and Australian readers: check out a fine alternative in the Audioengine A2+. 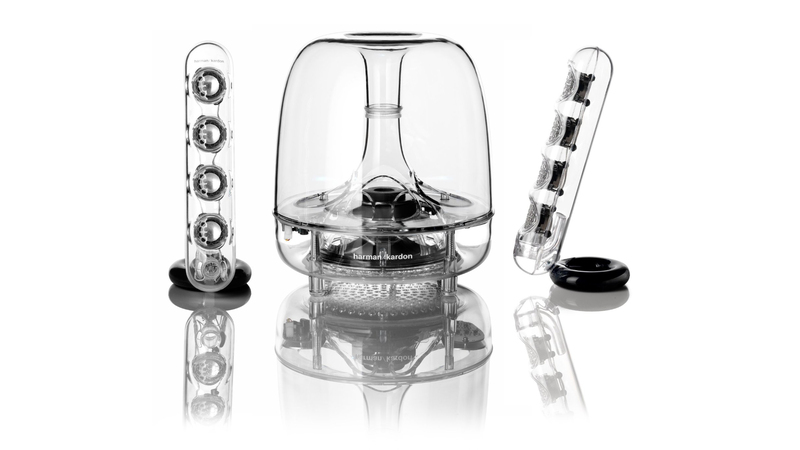 If you look at the Harmon Kardon Soundsticks III long enough, they’ll start looking like some kind of jellyfish. These translucent computer speakers look more like a modern art installation, rather than a functional speaker system – but that all changes once you turn them on. This speaker and sub combo features booming bass thanks to its woofer, while still producing crisp highs. You’ll get excellent sound at a decent price, making it perfect for music fans with a mid-range budget. This product is only available in the US and UK at the time of this writing. 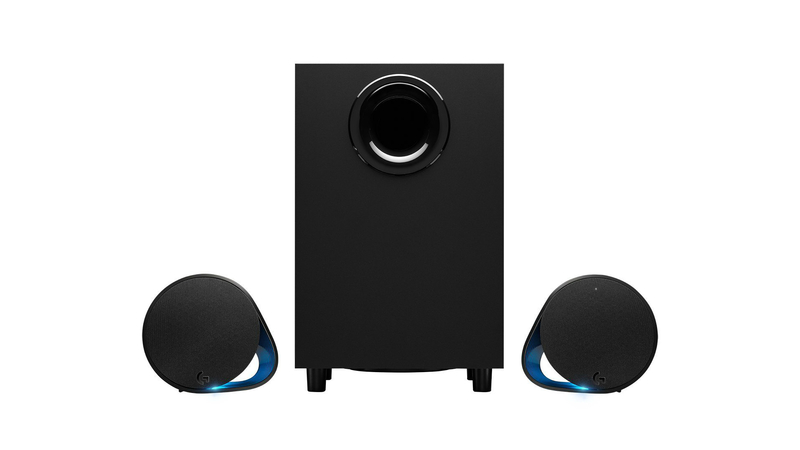 Australian readers: check out a fine alternative in the Edifier E25 Luna Eclipse. It might be a bit bassy for some people, but the Edifier E25 Luna Eclipse is a gorgeous speaker setup that not only looks good, but it also features amazing sound. The Luna, which comes in red, white and black, offers a powerful but controlled bass, fantastic balance with sharp mids and good stereo separation. It even includes a really nifty little remote control. The Luna Eclipse are some of the best computer speakers out there, especially if you like to pump up the volume with little to no distortion – and, who doesn’t? The Logitech MX Sound Speakers are simply the best wireless PC speakers you can buy today. They’re a thing of beauty, with their eccentric circular design and silver accents. And, for the price, they definitely deliver a little more than what you’d expect from the best laptop speakers. The bass may sometimes overpower the mids and highs, but it still delivers an excellent soundstage and powerful audio, which makes it great for gaming. 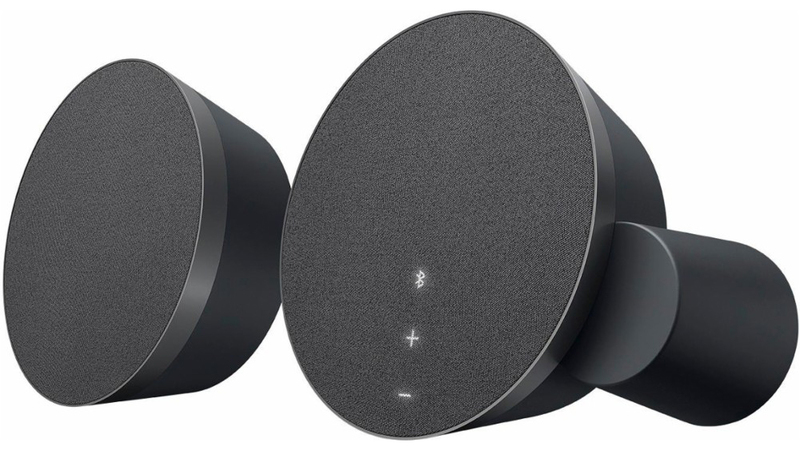 It also features dual Bluetooth connectivity so you can connect two devices simultaneously. Finally, the backlit motion sensor controls are so sensitive, a light touch is all it needs. The Klipsch ProMedia 2.1 speaker system brings enhanced sound for versatile use, so that whether you’re listening to music, watching movies, or playing games, you’re getting the best computer speaker experience. These THX-certified speakers boast power, a wide frequency range (31Hz to 20kHz), and a detailed audio quality with punch bass, maximum clarity and great balance. We’re not exaggerating when we say it’s powerful enough to replicate that home theater quality. Dell’s AE715 may not be the most powerful speaker in the market. It produces a decent 360-degree sound that, while is fairly common in portable audio, is a rarity with computer speakers. 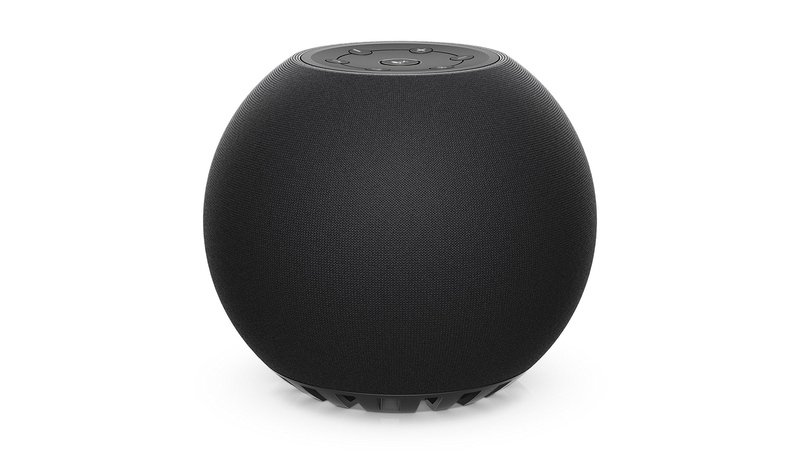 For it&apos;s low, low price, this Bluetooth speaker is nothing amazing; not a lot of bass and there’s a bit of delay, but the audio quality good enough if your listening standards aren’t quite as demanding. However, what you’re getting in exchange are its wireless functionality, the USB charging port so you can charge the device, and the built-in mic so you can use it for conference calls. It’s definitely a great portable, wireless solution. This product is only available in the US and UK as of this writing. Australian readers: check out a fine alternative in the Jabra SPEAK 510. Mackie CR4BT promises professional-grade performance, which is a lot more than what its competitors offer. The question is, does it really do that? Well, they sound good for a premium pair of speakers, but there are drawbacks including thinner mid range, and high bass cut off at 70 Hz, which means while there’s good bass presence, you might be missing the really low stuff. The pros, however, include the acoustic foam pads to isolate the speakers from the surface it’s standing on, and the front auxiliary input. 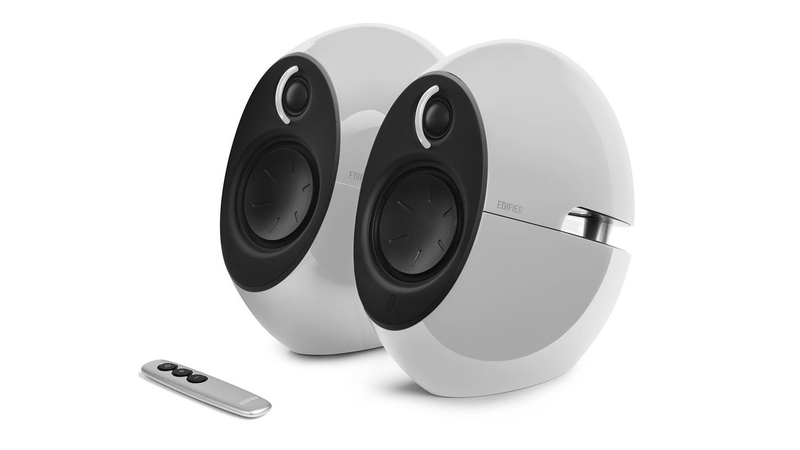 Overall, these aren’t your run-of-the-mill computer speakers. They are useful for multimedia creation and production as well. This product is only available in the US and UK as of this writing. Australian readers: check out a fine alternative in the Logitech MX Sound.